Everyone wants a greener home, if for no other reason than to cut down on pricey water and electric bills. But if you’ve already turned off unused lights, fixed leaky faucets and installed CFL bulbs, the next steps to a greener home can often seem stratospherically expensive. (After all, most of us don’t have the budget for solar panels.) 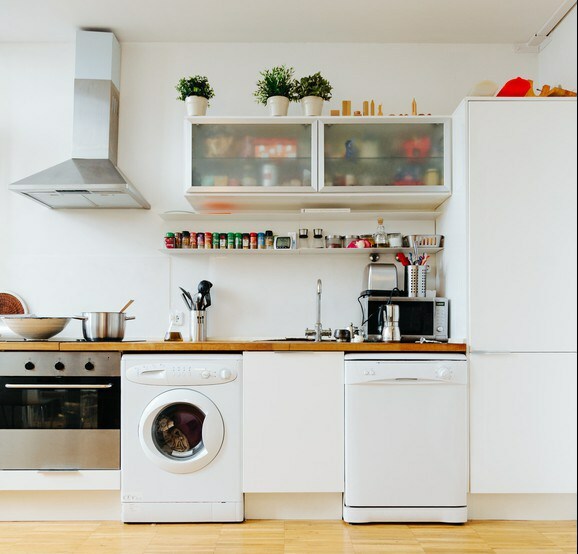 To help you find your eco-friendly groove without dropping a ton of cash, here are a few affordable tips that will make a big difference for your power bill, as well as the environment. Fix drafty windows: On blustery days, warm air can leak out of imperfectly sealed windows like a sieve. To find the leaks, wave a lit stick of incense near the window, and see where the incoming air blows the smoke upward. From there, you can recaulk and add new weatherstripping to keep the air out, usually for less than $100 in materials. Bonus: a toastier house in winter, and a cooler one in summer. Kill phantom power users: Your DVD player, TV, speakers, and other modern necessities have a dark secret: they draw a ton of power when not in use. By putting them all on a single power strip with a switch you can turn off before you go to bed, you could save as much as $50 a year on your power bill. Or splurge on a $30 power strip with a remote, which features two “always-on” outlets for necessities like your DVR, wireless router, or phone. Warm up your water heater: If your water heater is more than ten years old, it’s likely insulated with fiberglass, which isn’t as good at trapping heat as the foam used in modern models. To help it heat things up more efficiently, consider wrapping the heater in an insulating blanket, which runs $20-30 and could reduce your annual water heating costs by as much as 10 percent. Many utilities will pay for and even install the blankets; check with yours for more information. Put your fridge on ice: If your fridge has been in constant use for many years, the gasket on its interior has likely suffered some cracks or wear from exposure to dirt and dust, allowing cold air to escape. If you can shut a piece of paper in your refrigerator door and pull it out easily without reopening the door, it’s likely time for a gasket replacement. Most fridge manufacturers will sell you a new gasket for $75 or so, and it’s easy to install yourself. After you fix the gasket, use a long-handled duster to clean the exposed coils beneath or behind the fridge. Combined, these two simple fixes can cut the cost of running the fridge by as much as 25 percent. What energy fix has saved you the most money on your power bill? Let us know in the comments.